FreshBooks helps you keep track of business payments. 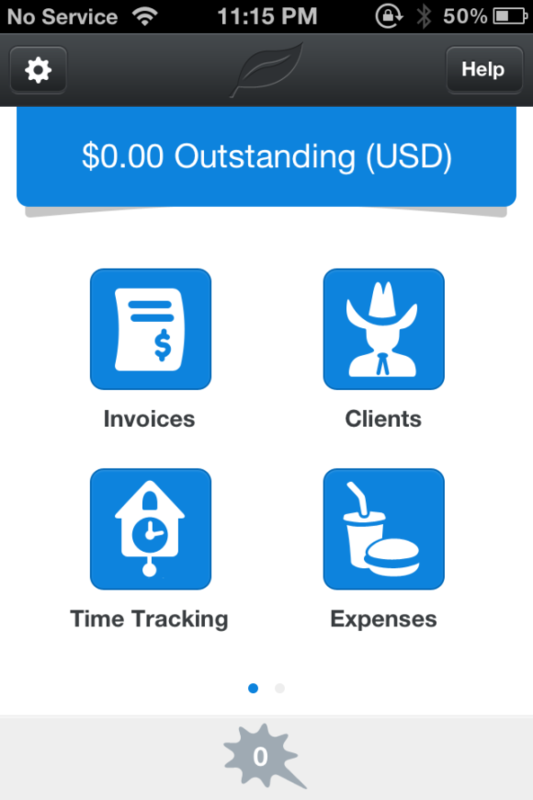 FreshBooks is a free cloud-based accounting app that helps you manage clients and projects, send invoices, and track time, expenses, and estimates right from your iPhone. The app is compatible with the iPhone, iPod touch, and iPad running iOS 4.3 or later. FreshBooks’ design is simple and easy to navigate. The main screen has a top banner that broadcasts how much money you’re owed (assuming you use the app’s invoice feature to bill your clients), while the middle of the screen features seven icons: invoices, clients, time tracking, expenses, projects, estimates, and reports. Four icons are found on the first screen, and then three more when you swipe to the left. Tapping on an icon brings you to that icon’s main screen, which consists of a list of the latest entries that you’ve created and worked on using the app. How you use FreshBooks really depends on what type of business you’re running. You can use every feature together, or you can just pick and choose individual features to use, like the time-tracking and expense-tracking features. 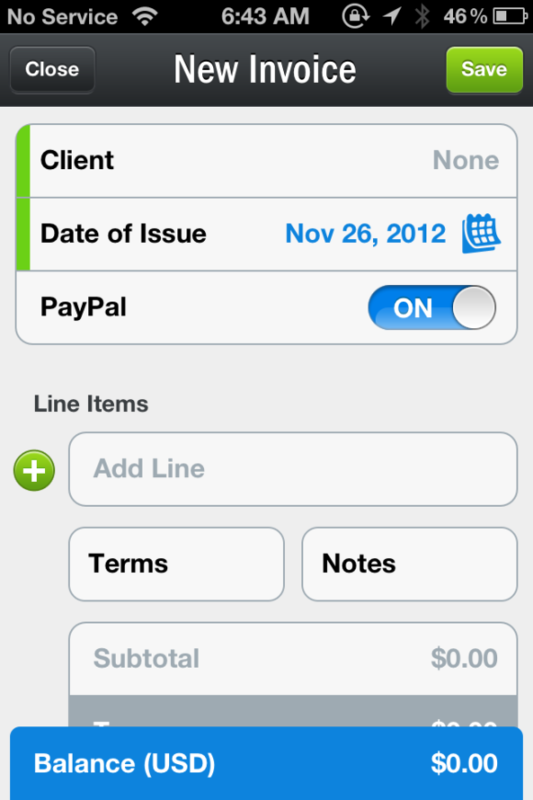 With the invoices feature, you can create invoices and send them directly to clients. These clients can’t just be any contact from your Address Book; you’ll have to manually add clients to FreshBooks’ client feature first. If you’re using the free version of FreshBooks, the invoice feature will be limited to three clients. Each client must have an organization name and email address, and you can add extra info like their name, physical address, phone number, and accepted currency. As mentioned earlier, the free version only lets you create three clients. The time tracking feature is basically an enhanced stopwatch. To start tracking your time, just hit the play button; to stop, hit the pause button. You must be working on a specific project to log time; you can create a project directly from the time tracking menu. 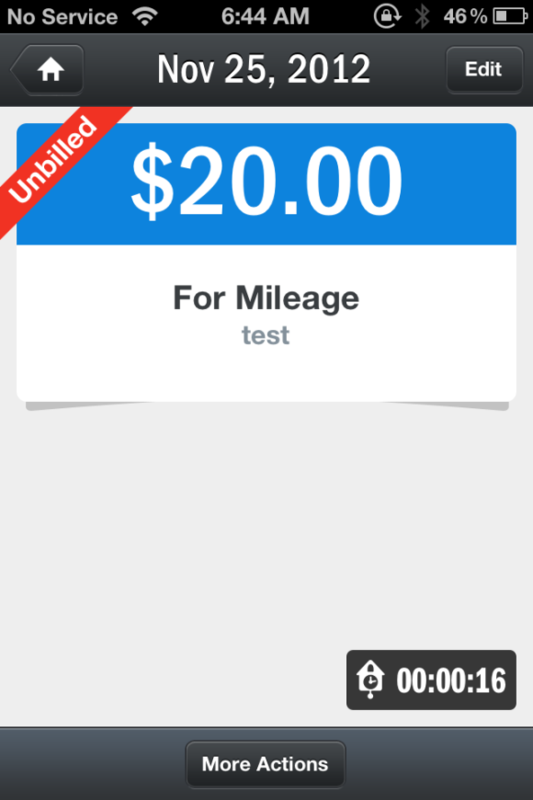 Use the app to make simple expense reports. Perhaps the most useful FreshBooks feature for small business owners is the expenses feature. You can label your expenses by category, vendor, and date, and the photo feature lets you attach a picture of the associated receipt to that expense. You can also assign expenses to a client and convert expense reports into invoices for billing a client directly. Use the projects feature to create and manage projects you’re working on. You’ll need to create specific projects in order to use the time tracking feature; that way, the time tracker can log your hours by project for accurate bookkeeping. Projects also need a name and a billing method (hourly task rate, flat amount, or hourly project rate), and you can assign them to clients (or create internal projects for yourself). In addition, you can add team members for projects that require more manpower. 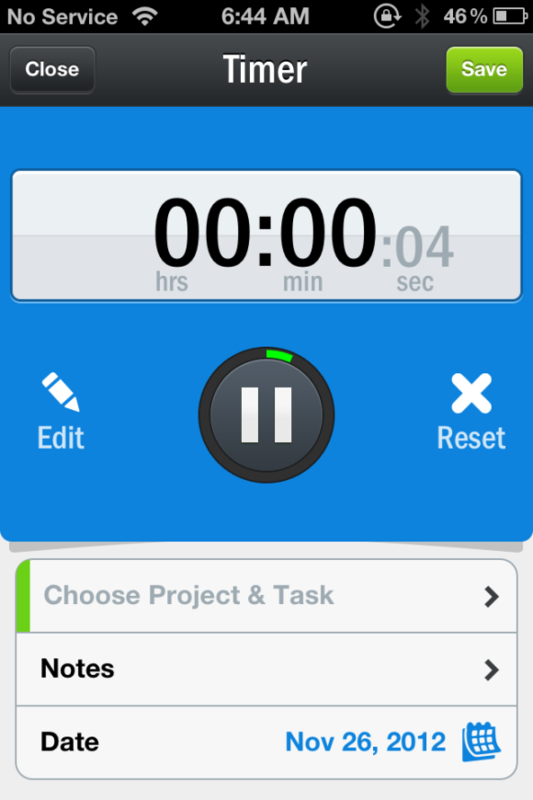 Its no-frills timer helps keep track of hours worked, for billing purposes. The estimates feature prepares quotes for you to offer your clients. Creating an estimate is similar to creating an invoice—it needs to be created with a client in mind— but customers can accept them or return them with changes if need be. You can convert estimates into invoices once you’ve settled on a price. The reports tab isn’t really a feature—because reports “look best on your computer,” according to FreshBooks, you can email reports to yourself to view them on a larger screen later. FreshBooks is a convenient accounting app, especially if your business happens to be the right fit for what the app offers. While you can pick and choose specific parts of the app to suit your needs, FreshBooks really works best if you’re running a business in which you have specific projects for different clients that involve billable hours. The first three clients are free; after that you’ll have to pay between $20 (for 25 clients) and $30 (for unlimited clients) per month.